Regular readers may recall that back in October I wrote an article entitled, Columbia Park, Torrance: Pay to play? 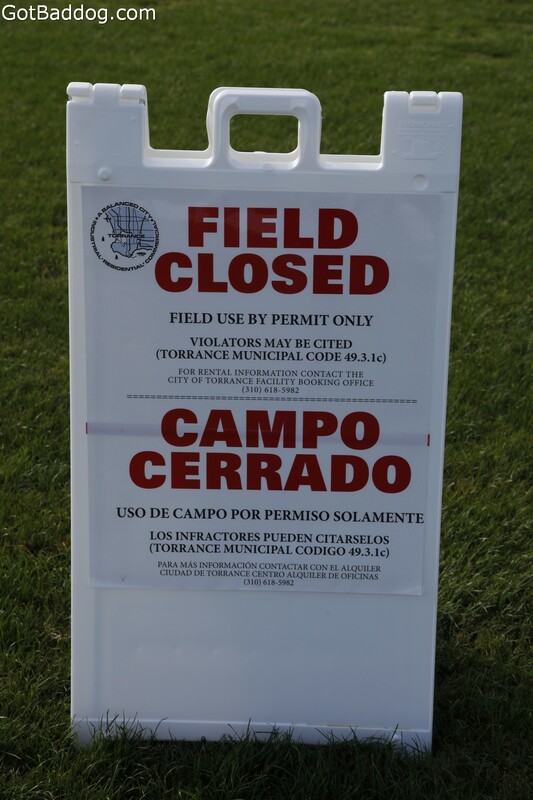 To recap, the west end of Columbia Park was closed for renovations on May 20, 2013 for what was to be “no more than thirty (30) calendar days.” Apparently contracts mean little in the City of Torrance and instead of opening 30 days later, it was reopened September 21, 2013! 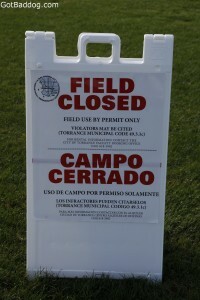 When it reopened it was littered with barriers that had signs attached advising everyone that if they wanted to use the field from now on, they had to get a permit (see photo). Besides writing the referenced article I started attending Torrance City Council meetings on a regular basis so the normal people would have some representation; I ever addressed the council with my displeasure. I do not think they cared. The Pat Furey for Mayor lawn signs are now available! Torrance residents should be aware that in a few months the General Municipal Election during which we will elect a new mayor as Mayor Scotto will term out. As I announced back in June, I am supporting Torrance City Councilman Pat Furey in his bid to be elected Mayor of Torrance. If you would like to join me in supporting Pat Furey for Mayor in 2014 cash donations are always welcomed, but there is another way you can help that costs you nothing and if real estate appraisals are correct, might actually raise the value of your home. 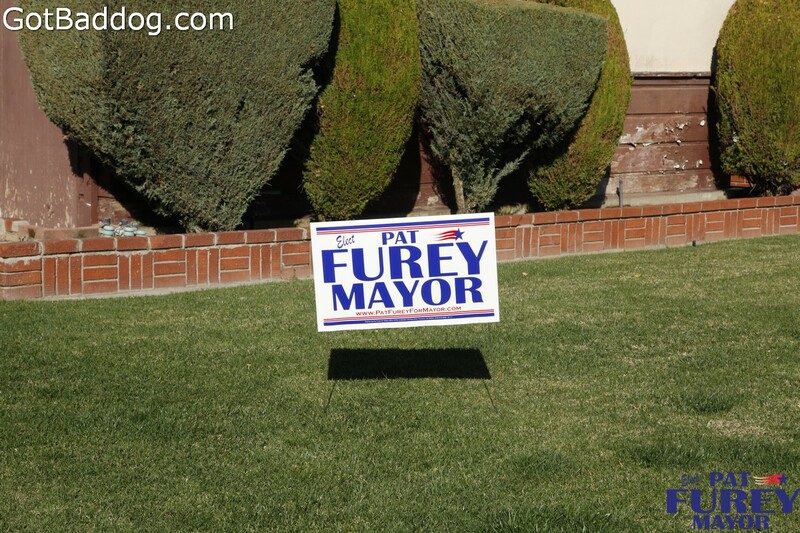 These beautiful Pat Furey for Mayor lawn signs are not only easy to install, but could immediately increase the value of your home by up to 10%. Of course, your results may vary, but why take a chance? You can request your lawn signs by calling 1-310-613-9099 or email info@councilmanpatfurey.com. Be sure to include how many signs you would like for you and your friends. You can increase the value of the entire neighborhood in one swoop.